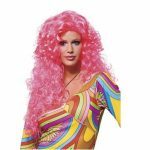 Costume Wigs from The Individual Wig for stage,screen,or fun..
Costume Wigs as well as wigs for all types of productions; from stage and screen, to television and live events, have been an important part of The Individual Wig for many years. The Individual Wig creations have been used in hundreds of different shows, television commercials, operas and theatrical productions. Our wigs are used in live street theatre and at entertainment venues, such Dreamworld. They were seen in the opening and closing ceremonies of the Sydney Olympics and they regularly feature in the Mardi Gras. 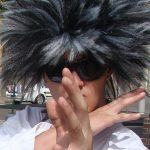 You could also see our wigs in action in many shows, such as Channel Nine’s Domestic Blitz, The Footy Show, The Today Show and movies such as Wolverine, Babe, The Matrix Reloaded and Moulin Rouge. Costume Wigs just for your look. We can style and create the dynamic look for any theatrical production – film, television or on the stage. for any production you need, such as ‘Diva-lution Super Supremes’.